While the path back to economic prosperity appears to be painstaking for the rest of the planet, the sporting world is unintentionally mocking that struggle by breezing through the downturn. At the weekend the world's top golfers competed for a $10 million prize in the climax to the FedEx Cup playoffs, while last week football's UEFA Champions League group stages kicked off. Last year's winners Bayern Munich earned $73 million and that was $13 million less than Juventus, who were knocked out in the quarterfinals, picked up. On the water, competing teams in sailing's America's Cup have reportedly spent up to $100 million each to build a competitive boat. While spending money is not the same as making it, there are certainly individuals, teams and companies willing to splash the cash in pursuit of sporting glory when most of us are tightening our belts. Both the 2007 Rugby World Cup in France and the 2011 event in New Zealand were deemed successes. But Brett Gosper, the chief executive of rugby's world governing body, the IRB, says he expects England to "raise the bar" when they stage the World Cup in two years’ time. Commercial deals for the 2015 competition are being locked down in record time and with double digit increases. Although the sums are confidential, organisers are predicting revenues of at least $238 million. Boosted by rugby's return to the Olympics - the sevens format will debut in Rio de Janeiro - more people are playing the sport than ever before; 5.3 million in 118 countries generating a global annual turnover of $1.9 billion. 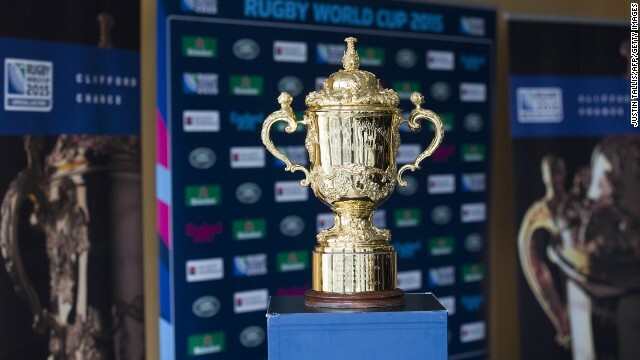 Kick-off times and ticketing for the 2015 World Cup will be announced in November and then we'll see if the fans are as willing to spend money as rugby's corporate backers. Judging from the way other major sports have sailed through the economic slowdown, the answer will be a resounding "yes." Rugy an elite sport? Oh for goodness sake Get a grip Alex. You get a grip, rugby world cup is the 3rd highest watched sporting event in the world behind Football world cup & Olympics. Of course in the myopic view of an American you would believe that.